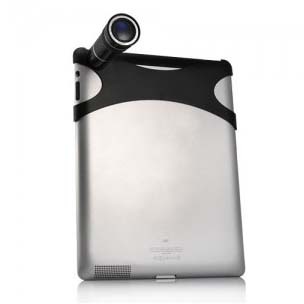 Optical 10x Zoom Lens Camera Telescope for iPad 2 -Black, Gadget Stop - For all of your phone and Apple needs! 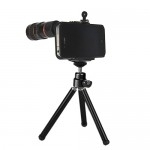 Using the iPad 2 to get long shots? It's no way...to be impossible, because we have the 10 fold zoom telescope camera lens. It can help you clarify distant views, such as watching a football game, attending a concert, touring in some places, examining some wild animals, etc. Getting closer and clearer, the 10X zoom lens is another step forward. 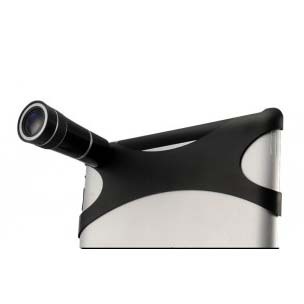 Adopting a novel optical design, the telescope avoids contortion of images effectively. It makes the super wide angle, the larger luminous flux, the higher visual acuteness, good for color reduction, which makes the high quality of photography. The telescope camera lens comes with an installation helper. 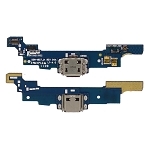 Installation will be completed after you put this plastic piece onto iPad 2 and then attach the camera lens to its ring. 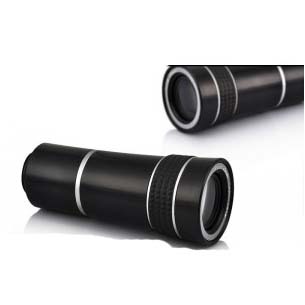 Brand new Optical 10X Zoom Lens Camera Telescope For iPad 2 (Black). Accessory only, iPad 2 not included!